It is reported that the project is located in the sunshine-filled city -- Shinjuku, Okayama, Japan. Antaisolar rackings have been chosen for the third phase of the project, with an installed capacity of 3MW. The role of solar in Scotland's future energy system will be debated in Edinburgh on September 4. Scottish Renewables Solar Conference will bring together key players from across the sector to consider the opportunities and challenges faced by this key green energy technology. Offshore wind energy industry is further gaining exceptional traction from the tech behemoths showing their interests in harnessing clean energy. The global leading supplier for rotor blade access systems, Gebr. Käufer GmbH Befahrtechnik are ambitious to introduce their new K-BP-4 BAS particularly aiming for the large and powerful wind turbine classes at the WindEnergy Hamburg for the first time. Using Aurora Solar design and sales software, contractors can easily upload roof plans to accurately design solar PV systems for new homes in compliance with upcoming changes to California's Building Energy Efficiency Standards. New York solar leader Quixotic Systems Inc. (QSI) has partnered with affordable housing developer Arker Companies to design and install rooftop solar energy systems for low-income communities in the New York City area. 08/15/18, 05:49 AM | Solar & Wind, Other Energy Topics | Schletter Inc. The plant on the main island of Luzon will generate more than 150 MWp of solar power and is already scheduled for completion in early 2019. The Schletter Group thus continues its growth course in Southeast Asia. Ubiquitous Energys transparent solar coating, ClearView Power™, selectively absorbs and converts non-visible light (ultraviolet and infrared) to electricity while transmitting visible light. A few solar panel manufacturers claim ratings higher than 20%, but those figures are gathered when solar panels are installed in optimum environments, such as on solar farms or SPF roof systems. Solar power is conversion of sun's energy into electricity or thermal form. Conversion of sun's energy is done either by photovoltaic cells or by concentrated panels. 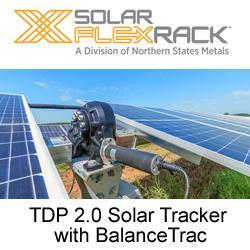 Since established in 2006 after over 40 years of research and development, SolarBK is one of the leading enterprises to provide products and solutions of renewable energy. All internationally-qualified products supplied by SolarBK meet global standards to satisfy the demand of domestic market and export to more than 10 overseas markets. SolarBK has demonstrated its competitive ability through large projects such as the hybrid project of solar - wind power with a capacity of up to 8MWp in Spratly Islands (Truong Sa), sea water desalination system in Southwest Cay Islet (Song Tu Tay), receiving the "Energy Globe Award" in 2012 and 2016. Solar Experience Space has won The Smarter E Award, category of outstanding projects at InterSolar 2018. In 2017, SolarBK has provided 3 MWp of solar power solutions for the home market, holding 30% domestic market share. Especially in early 2018, SolarBK expanded its distribution network to Nanjing, initially to set up its office network in Myanmar, New Zealand, the UK.